A confusing argument has broken out over the crucial question of whether Ukraine’s $3bn worth of bonds held by Russia and due in December are “official” debt or not. The answer is important because if the bonds are “official” and Ukraine doesn’t pay them, the International Monetary Fund (IMF), under its own rules, will have to suspend its $40bn financial aid package to Kyiv. If the bonds are deemed “privately held” then they can be included in a $15.3bn debt reduction deal Ukrainian Finance Minister Natalie Jaresko is currently trying to put together. Russia lent Ukraine the money in December 2013 as part of a $15bn Kremlin-sponsored package to bail out the country shortly before the Maidan protests kicked off. The problem is these “bailout” bonds, as they have been dubbed, mature in December but Ukraine has just launched debt restructuring talks with creditors that appear to assume Russia will accept a haircut along with the private bondholders. Russia has been adamant that it expects to be paid in full and won’t accept a haircut. 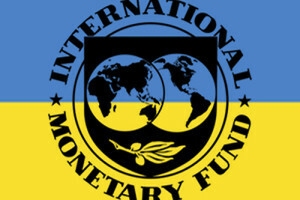 The IMF agreed to extend its loan programme by $17.5bn in March and has already transferred $5bn to Kyiv. But as part of the total $40bn aid package it has also demanded that Kyiv somehow comes up with a $15.3bn reduction in debt, of which $5.3bn needs to be cut off this year’s redemptions, if Ukraine is to stay within the parameters of the new IMF programme. At first glance the “official” status of the Russian-issued bonds appears obvious, but the IMF has managed to muddy the waters in the last few days. IMF spokesman William Murray said during a briefing that as Russia’s National Reserve Fund, a sovereign wealth fund, holds Russia’s Ukraine Eurobond, it should be classified as “official” debt. However, the IMF came out with a statement to clarify the situation shortly after the briefing, saying “no decision” had been made on the status of the Russian bond, forcing Murray to in effect retract his comments: “No determination has been made by the fund as to the status of this claim,” Murray said in a later statement. Analysts say that this statement doesn’t really make the status issue clear one way or the other. And the status of the bonds is critical. Under the IMF’s own rules it cannot offer help to countries that have arrears to “official” lenders – ie governments or other international financial institutions (IFIs). But if it is a “private” lender then Ukraine, in theory, could refuse to repay all the principle amount of the loan, and even if Russia refuses to accept its haircut, the IMF programme for Ukraine can continue unimpeded. The IMF itself has precipitated the clash by proposing a $45bn programme over four years but only coming up with $40bn worth of funding from itself and other sovereign and IFI creditors. In effect it predetermined the size of the necessary haircut before any discussion with private creditors had taken place. Moreover, the IMF has exempted itself (as an “official” lender) and the other sovereign creditors from the haircut, which means the entire burden falls on private creditors, who are not happy with this fait accompli. And the clock is ticking: Jaresko said in an interview this week that a deal needs to be completed by May if Ukraine is to stay within the parameters of the IMF deal. For their part the Russians are also being a bit disingenuous. The Ukraine bonds are owned by Russia’s National Reserve Fund (NRF), which is explicitly only allowed to invest into investment grade securities – something that Ukrainian bonds are clearly not. Indeed, Moody’s downgraded Ukraine’s rating to Ca with outlook negative last week. “The key driver of the downgrade is the likelihood of external private creditors incurring substantial losses as a result of the government’s plan to restructure the majority of its outstanding Eurobonds. Also included in the restructuring is the external debt of state-guaranteed entities and selected other state-owned enterprises, and the Eurobonds issued by the capital city of Kyiv,” Moody’s said in the ratings action press release. The Kremlin is rather belatedly attempting to dodge this particular bullet and submitted a bill this week that will ease the investment restrictions on the NRF, effectively bringing the bar low enough to permit the fund to hold Ukraine’s debt. The situation is further complicated as the numbers don’t seem to add up: Ukraine has to repay $7.7bn worth of bond redemptions this year, so even if the private creditors agree to cut their debt by $5.2bn, as is being proposed, that doesn’t leave enough money to repay the Russian debt. So it appears that the IMF has not only predetermined the size of the haircut for private investors, but also decided that the Russians will have to participate. This is doubly odd because Russia is a shareholder in the IMF and so had a vote on the new IMF package, so it was presumably aware of the mistake in the arithmetic. At first glance it seems that the IMF’s rules are pretty clear: the bond is owned by Russia’s sovereign wealth fund and was issued under a inter-government agreement between the Russian and Ukrainian governments, which is about as “official” as you can get. However, everyone seems to be anticipating some sort of game playing with the wording: “I would still not rule out some juggling with the rules from the IMF,” says Ash. These comments are a little strange, given that the IMF has effectively imposed the need to restructure “private” debt on the Ukrainian government; one would have thought the Fund had thought this issue through before releasing a plan that explicitly includes a $15bn haircut for investors and appears to assume that the Russian bond would not be paid back. For her part, Jaresko seems to be willing to go down the harder road of imposing a haircut rather than simply extending the maturities of the bonds – the investors’ preferred option – and leaving Ukraine in the same boat as Greece. The US-born minister quoted the late Margaret Thatcher in her meetings with London-based investors and told them she was “inspired by Margaret Thatcher’s words ‘there is no alternative’ [to debt restructuring]”. Playing word games is going to be very difficult with the Russian bonds as they came with some very unusual riders in the covenants. Despite the fact the bonds were issued when now ousted Ukrainian President Viktor Yanukovych was still in power, a friendly borrower for the Kremlin, the riders in the covenants clearly assume Russia was going to face economic and political problems getting its money back. The best-known clause is one that allows Russia to call in the entire debt early if Ukraine’s debt/GDP ratio exceeds 60%, which has already happened. The Russians have said they will not do this, but legally they are already in the position to ask for all their money back at any time before December. Less well-known is a clause that prevents Ukraine from offsetting any Russian debt to Ukraine against the bond. This prevents Ukraine from making up some debt and then using this to offset what is owes on the bonds. Also the covenant doesn’t make clear where the money should be repaid. This could be a problem for Russia as Kyiv could decide that the bond repayments are due in Kyiv and in effect transform an international bond into a local one, subject to local laws, which then could be changed to force a haircut on Russia. What happens will also have wider implications for all emerging markets. At the end of the day, even if Russia broke its own investment restriction rules, the NRF is a sovereign wealth fund and similar to a raft of funds belonging to Norway, Qatar, Abu Dhabi, and others. If the result of this dispute is that a haircut can be imposed on Russia’s sovereign wealth fund, then that could affect the risk profile for all the world’s sovereign wealth funds, effectively driving up the cost of borrowing for every emerging market.